Can Ranchers Come to Peace with the Wolves in Their Midst? Stand for Wolves at Public Hearing near Pinetop, Arizona! In the News: Sun Setting On Wolf Recovery? Lobos Need You in ABQ November 20! In the News: Do "Kid Cages" Really Protect Children From Wolves? - Residents of New Mexico are scared of their local wolves. Should they be? Animals will be captured, taken to breeding facility Albuquerque Journal, October 21, 2013 Act Now! 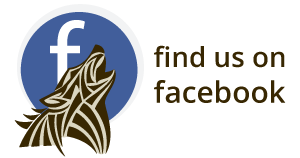 Sierra Club Event: Wild About Wolves! Speak Up for Wolves in Phoenix on October 9! In the News: Should the Government Be Killing the Wildlife We Travel to Experience? Act Now: Help Mexican Wolves Succeed From Wherever You Are! Lobos Need You in Albuquerque October 4! Government Shutdown Will Not Stop Wolf Supporters from Rallying and Testifying! Edible Wilds will donate profits to support our work for lobos! Mexican Gray Wolves Granted Increased Protection In The U.S. 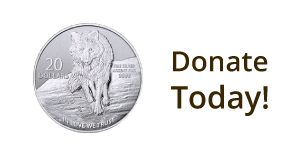 In the News: Agreement Reached On Wolves - Plan Allows For Direct Releases into N.M.
Kingman Daily Miner August 25, 2013 (posted 8/29/13) Letters needed! AZ Daily Sun August 08, 2013 (posted 8/9/13) Letters needed! In the News: Wolves To Roam Toward Flagstaff? Is The Far Right Driving Gray Wolves To Extinction? When A Wolf Dies - Do individual animals matter? Arizona Republic, June 7, 2013. Help Keep Wolves in the Wild Where They Belong! Associated Press, June 7, 2013 (posted 06/07/13) Act Now! More Great Pro-Wolf Letters to the Editor – Thank You! Act Now-Keep the Pressure on to Keep Protections for Wolves in Place! Beautify Your Desktop with Mexican Wolf Images! Action Alert: Release Aldo and Estella! Take Action: More Mexican Gray Wolves Needed in the Wild Now! 15 Years of Mexican Gray Wolves: Celebrate or Sob? March 29 is the 15th Anniversary of the return of Mexican wolves to the Southwest – help ensure their future today! Arizona Republic, March 20, 2013 (posted 3/21/13) Letters to the Editor Needed! Arizona Game and Fish Supports Removing Protections for Gray Wolves Nation-Wide. Urgent Alert! Arizona Game and Fish May Take Official Position March 20 to Support Removing Protections for Gray Wolves Nation-Wide. Salt Lake Tribune, March 10, 2013 (posted 3/11/13) Letters to the editor needed! Private group says it needs the money to lobby federal officials against the predator’s reintroduction. Salt Lake Tribune March 7, 2013 (posted 3/10/13) Support wolves with letters today! Utah Wants Wolves: ACTION URGENTLY NEEDED! Blog: Will the Real Conservationists Please Stand Up? In the News: Obama Chooses REI Executive to Lead Interior Dept. Associated Press January 3, 2013 (posted 1/4/13) LETTER TO THE EDITOR OPPORTUNITY!